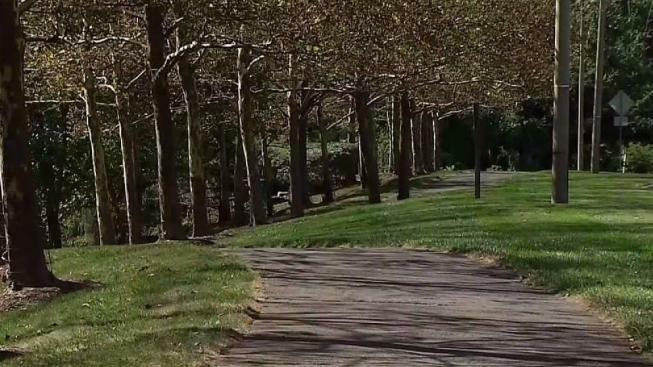 A suspect has been arrested after a woman was groped while walking on a popular trail in Fairfax County, and police said they are investigating whether the attack is linked to at least five other sexual assaults on women in the area. The most recent assault occurred about 5:10 p.m. Thursday on a biking and walking trail near Waples Mill Road and Random Hills Road in Fair Oaks. A woman was walking alone on the trail when a man approached her from behind, police said. He grabbed the woman in a bear hug and groped her, police said. The attacker was scared off when a car passed. He was last seen running west on Random Hills Road, police said. Jeremiah Whitmore Tolley, 21, of Fairfax, was arrested Friday night and charged with abduction with intent to defile and sexual assault, police said. Detectives are investigating if Tolley is connected to five other sexual assaults that happened on trails in the Fairfax area in the past two weeks. The other attacks were generally similar to the Thursday assault. The assailant grabbed the buttocks of the other women while they were exercising on the trails after 4 p.m., police said. Police urged women to be cautious when exercising or walking on the trails. Exercise with a friend, avoid secluded areas after dark and avoid wearing headphones or earbuds to stay safe, police said. To report an assault or give police information about this crime, contact Detective N. Porter at 703-591-0966 or Fairfax County Police at 703-691-2131.